the HAES® files: What If?? The victims are unwilling and passive? The targets of the abuse are the bodies of the victims? Increased feelings of self-hatred and damaged self-esteem? Development of guilt feelings and self-blame? Development of maladaptive behaviors in order to cope with the abuse (e.g., restrictive or binge eating)? What if I told you that frequently, adults stand by and do not intervene? Most of you would be fairly certain that I was talking about sexual abuse. And you wouldn’t be completely incorrect. When a girl is sexually abused, she is an unwilling victim who paradoxically feels guilty and blames herself. Because the abuse is focused on her body, she finds ways to disassociate and distance others from her body. Eating disorders frequently emerge along with self-loathing and an impaired body image. And, unfortunately, all too often the abuse is not noticed and/or is perpetuated by adults around her. But there is another form of abuse directed towards girls and their bodies. From the time girls are old enough to watch television, they are told via cartoons, TV shows, movies, and commercials that they need to look a certain way in order to be pretty, popular and loved. They have no choice but to absorb these messages. They are too young to choose the media messages they want to be exposed to and once they are old enough to know what is going on, there are few opposing views available. By the time a girl is in her teens, her belief system has been powerfully molded by the verbal and visually powerful message: that in order to fit in she needs to conform to a very narrow definition of what makes a female beautiful. Let’s forget for a moment the disproportionate emphasis on the importance of appearance as a measure of success in the world. (That alone is inexcusable). But given the sad reality that physical looks are a primary asset of a girl’s success… to then establish unattainable criteria for beauty is doubly reprehensible. The end result is a multitude of girls and women suffering from body dissatisfaction, disordered eating, and low self-esteem. Even girls and women that are able to fight back and resist the size-u-al discrimination and abuse, often have to spend enormous amounts of energy to convince others that she is not just over-compensating for how she REALLY feels about her herself. Holding the course of self-acceptance when you are not perfect requires constant vigilance, strength and determination. The bottom line is that size-u-al abuse, while not officially named in our culture, is prevalent and frequently unchallenged. The outcome is not pretty. The loss to our society is downright ugly. And for a society that is so obsessed with appearance, you would think that the unattractiveness of the situation would motivate cultural changes that are not merely superficial. The beauty of the situation? It is NOT too late to get to work on changing the cultural norms and assumptions that discriminate against anyone that doesn’t fit into the popular cultural parameters of beauty and health. The recent outcry about the Abercrombie and Fitch announcement that they only market to the cool thin kids shows that not everyone is buying into the societal paradigm. The proliferation of films, websites, and organizations* that challenge the way the media is misusing their influence to the detriment of young girls is a hopeful sign. And there are two conferences coming up this summer that are overflowing with sessions about these messages. The Association of Size Diversity and Health (ASDAH) is having their 2013 conference in Chicago the weekend of June 28th. For details click here. The National Association to Advance Fat Acceptance (NAAFA) is having their 2013 conference in Las Vegas the weekend of July 25th. For details click here). Do you have any to add? Please send them in to us via our comments process below! Note: A version of this blog post was originally posted in 2011 in Dr. Deah’s Tasty Morsels. Deah Schwartz, Ed.D, CTRS, CCC, Educator, Activist, and Clinician with a private practice in Oakland CA, has more than 30 years of experience in using Expressive Arts Therapies to treat Eating Disorders and Body Image issues. Deah is the co-author of Leftovers, The Ups and Downs of a Compulsive Eater DVD/Workbook Set, a resource for Eating Disorders, and author of the Size Acceptance syndicated blog, Tasty Morsels. 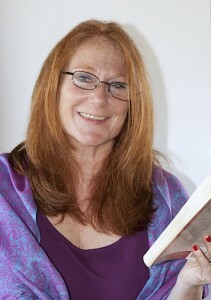 To find out more about Dr. Deah’s work visit her website at www.drdeah.com.